FISITA, the international membership organisation for the automotive and mobility systems engineering profession, welcomed 1,150 attendees from around the world to The Hague, Netherlands last week for EuroBrake - the world’s largest braking technology conference and exhibition. An entire day of the conference dedicated to rail braking technology, featuring a special Strategy Panel, a cluster of technical sessions and rail posters - organisations involved included Bombardier Transportation, Deutsche Bahn AG, the European Commission, SNCF, Southwest Jiaotong University, China and Leeds University. Chris Mason, FISITA CEO, said: “EuroBrake 2018 was a fantastic event, which showcased industry-leading research and products from some of the world’s most renowned specialists and leaders in braking technology. Following six years of growth, EuroBrake has become established as the world’s largest technical event of its kind, attended by more than 1,100 delegates, with a significant technical programme of 140 technical presentations and attracting 100 international organisations to the exhibition. 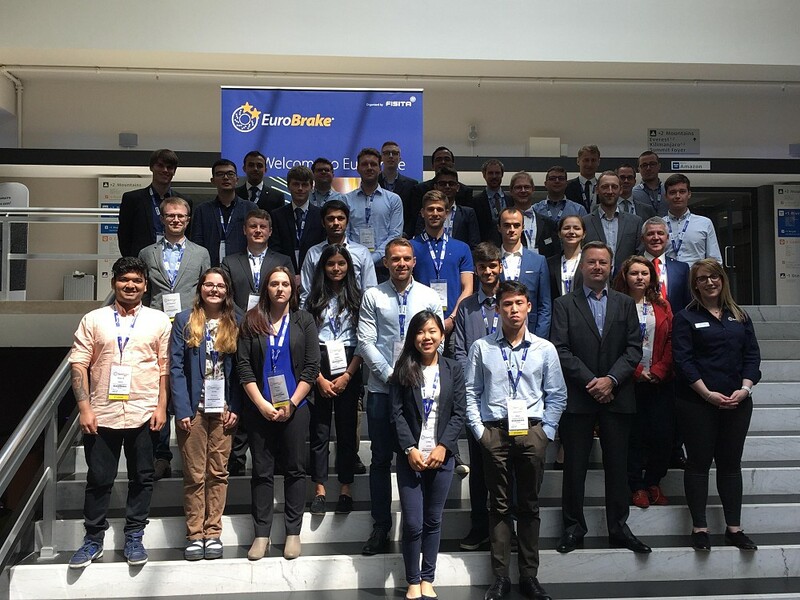 EuroBrake 2019 returns to Dresden, Germany from 21–23 May 2019. For more information see www.eurobrake.net.